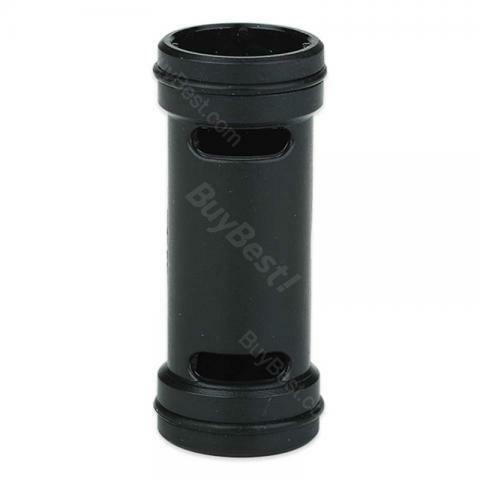 Eleaf Battery Sleeve is designed for Pico Mega Mod. With the battery sleeve, you can use both 18650 and 26650 batteries with Pico Mega. Get it as a spare part. • It's for Eleaf Pico Mega. Eleaf Pico Mega 18650/26650 Battery Sleeve black fit 18650 battery exchange to 26650 battery for Wismec Presa eleaf istick. With a 80W Max output 510 thread no 18650/26650. This item was delivered at lightning speed. I no longer click purchase and the next day I received notification or was in my mailbox! Exceptional service and a great product. Will recommend highly! Outstanding! Keep doing what you're doing, it works!